Been lurking this forum for a bit and passively looking for my first k98k. Surplus rifles have always intrigued me and the action on the 98k has always drawn me. I ran across one for sale locally that is a bolt mismatch non capture rifle. Looks to be in decent shape with some wear on the metal. Never ran across a CE code before, mostly seeing Byf. 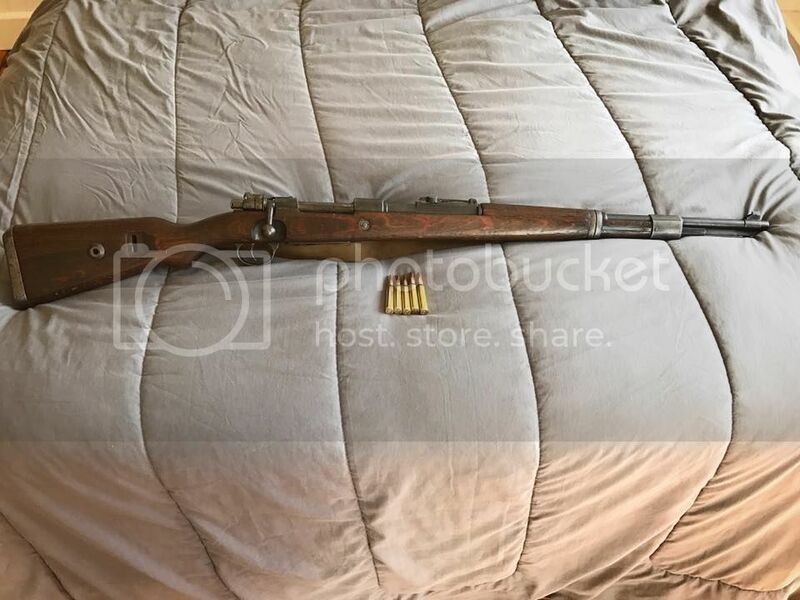 Can anyone give some insight to this rifle? Trying to stay under $1000 and this one just barely makes it. So far it looks ok and correct. 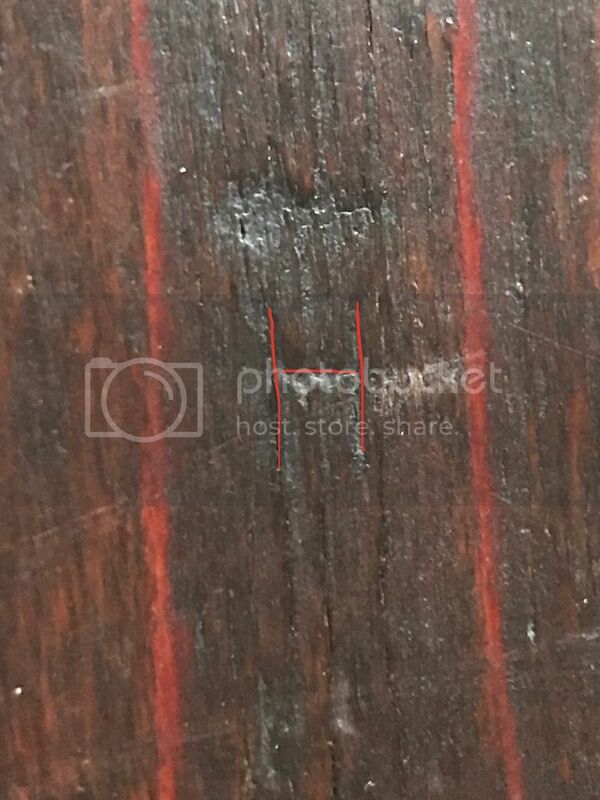 Can you add pictures of the stock markings (right side between hole and buttplate and bottom edge between grip and buttplate)? 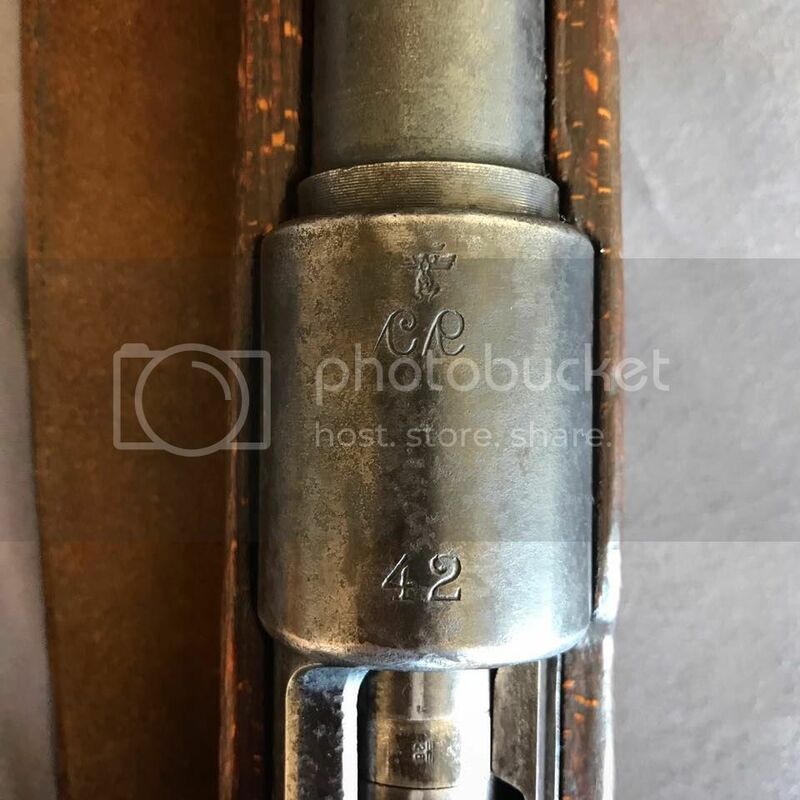 Also, the number on the upper barrel band. If the sling and rod are originals, slightly under $1,000 would not be a bad price if everything else checks out. 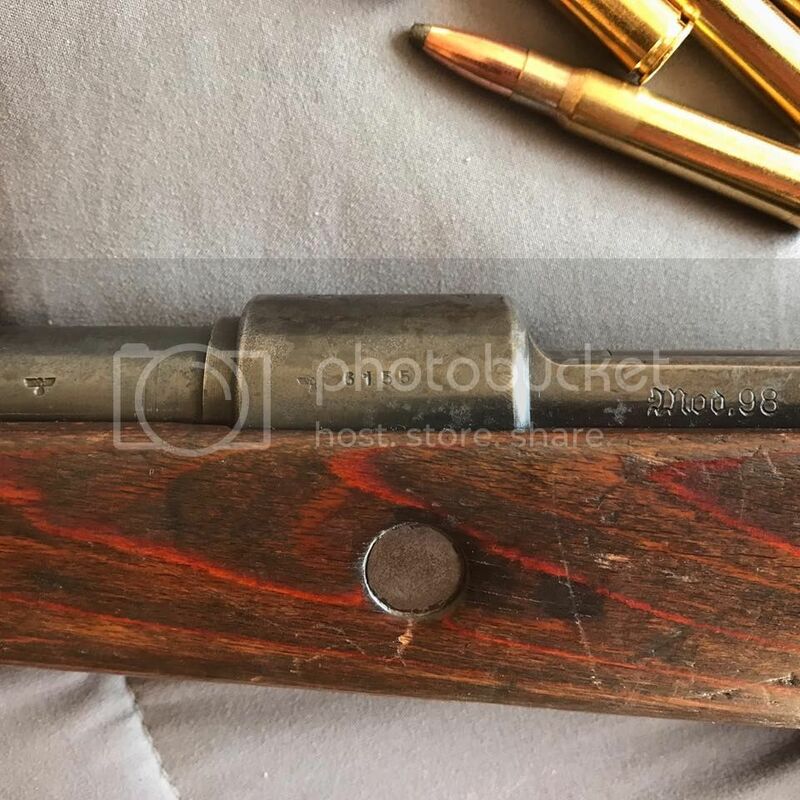 Your K98k has a Erma receiver and usually they got used much later in 1942 production, end of "g" block they start to appear sporadically and in 1943 production they are common. 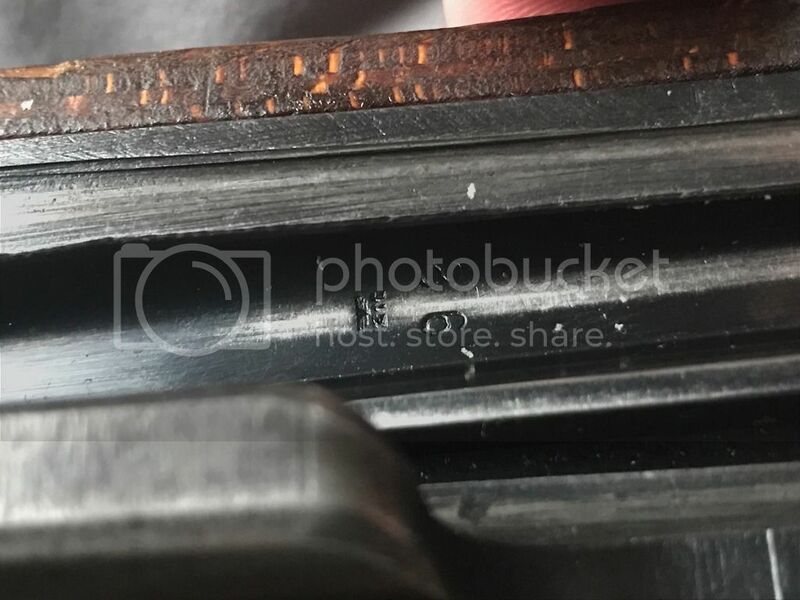 This K98k has no serial number on the barrel and usually every early ce 42 has the serial number there, they stopped to put it there between end of "d" block and beginning "e" block. A early ce 42 should have a H-form upper band and not a speed milled upper band like on yours. 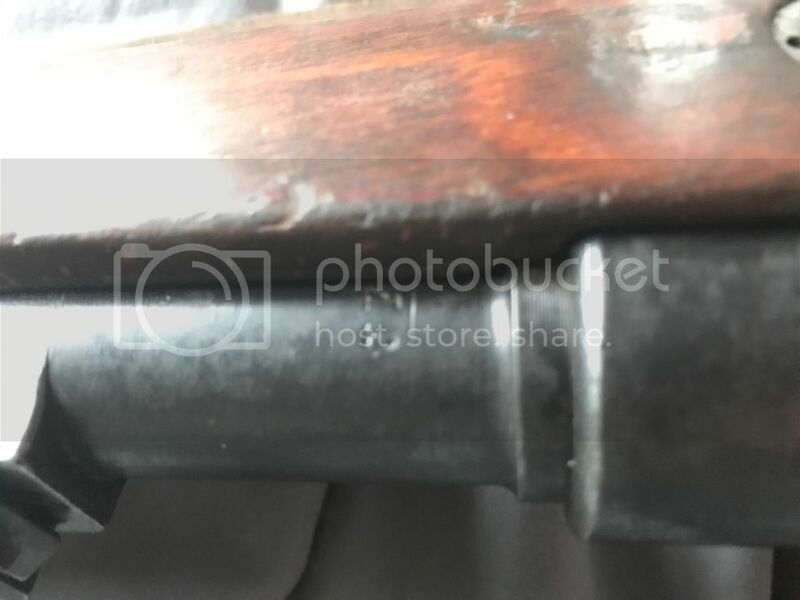 This early K98k with the serial number 6155 belongs to a oddball group which got produced much later in 1942, my guess is in December 1942 or even a bit later. There are a few known examples without letter block, in "a" and "b" block. If you have the chance to take the action out of the stock, in the barrel channel is a code and certainly it's dated July/August 1942. More photos would be very important, like stock markings, serial number on the bands, sights and the proofs. I would say this is technically a ce43 built on a ce42 receiver as Stephan says. Hambone has one as well that is a "b" block. Check to see if the receiver has any flaws repaired and reinspected. Nice looking rifle! It looks like the follower is mismatched. Is the floor plate matching? Not sure. These are just all pictures the seller is sending. It's starting to look like more of a mix then? Very nice and interesting rifle. Got a look at the floor plate, serial matches the rest of the rifle. Looks like just the bolt and mag follower are mismatched. I learned today that my K98 is also a Sauer and Sohn 1942 rifle, I noticed I have on the stock a 'H' marking also. I wonder what it means? 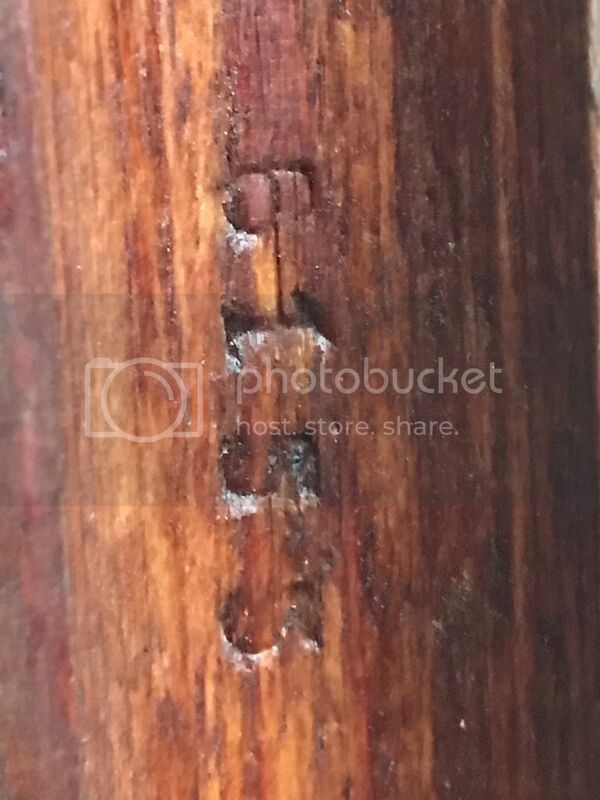 Also found three 'nazi' markings on the stock alone, they really did love a marking/stamp!